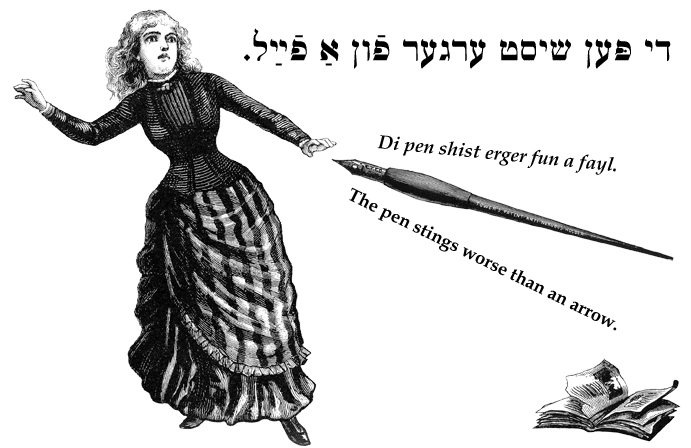 Yiddish Proverb: The pen stings worse than an arrow. די פּען שיסט ערגער פֿון אַ פֿײַל. Di pen shist erger fun a fayl. The pen stings worse than an arrow.